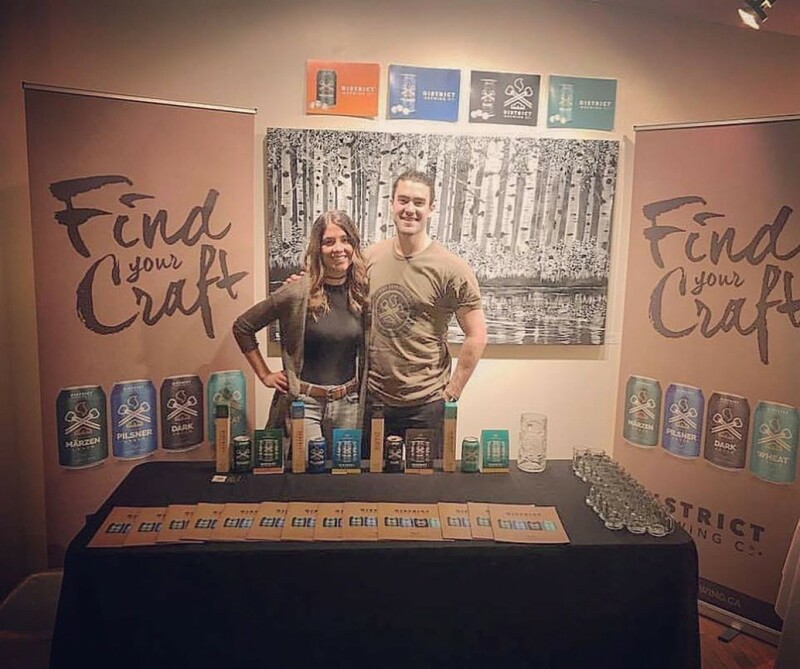 Award Winning Beer - District Brewing Co.
A couple of weeks ago District Brewing had the opportunity to take part in the “Arts and Craft Beer Night” at the Station Arts Centre in Rosthern, SK. This fundraiser treated guests to a “Beer 101” session to explain the characteristics of craft beer, including IBUs, ingredients, the brewing process and the various types of craft beer. But what’s a Beer 101 session without a bit of hands-on learning? So to really drive home the learning experience, everyone had an opportunity to sample a few products. First, everyone bridged their palates from what they might be used to in typical beer, with the crafty Pseudo Lager from Black Bridge Brewery. Next, District’s Marzen Festbier was featured for a taste of a deeper coloured malt with a rounder, fuller flavour. Lastly, they moved to the Saskatoon Brewery’s IPA, with its competitive balance between hops and malt, bittered finish and the classic pumpkin colour. After the session, guests had the opportunity to continue their education and sample more local craft beer products and of course, munch on delicious snacks to cleanse their palates. So if you haven’t already, make sure you stop by your nearest SLGA or pop into the brewery to try out our “Best in Show” Beer to enjoy on this borderline patio-weather weekend! !